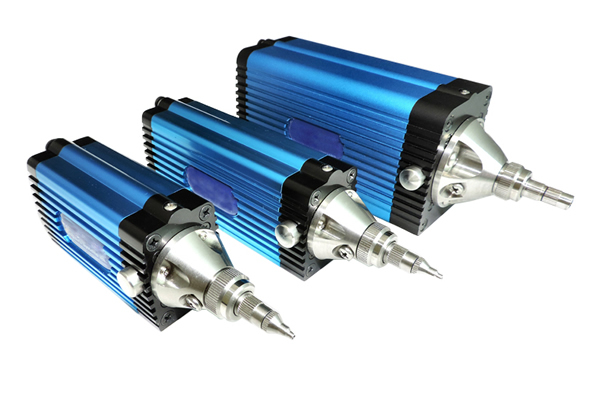 1.High Quality HIOS screw driver and feeder. 2.Double work station. 3.Additional small Z axis. 4.Screw missing and loose screw detection function. 5.Screw floating height detecting function. 6.Intelligent servo control screw driver is available. 7.arcode scanner. Screw feeder and screw driver are the 2 core parts in the automatic screw driving machine , the common problems like screw to be stripped , screw is not tightened are caused by screw driver .problem of screw stuck is caused by screw feeder. Japan made HIOS screw driver and feeder we adopt is famous wordwide for their stability and duability , it can mostly reduce the problems and ensures quality screw tightening. 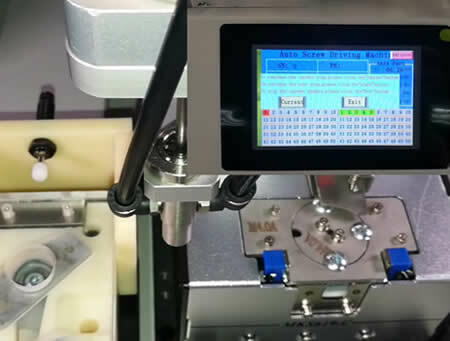 Single work station machine only can put 1 product on the work station , after 1 product is finished machine has to be stopped to wait the operator change the product ,the waiting time affect the efficiency . and if there are 2 different products with same screw then the single work station machine can not handle them. 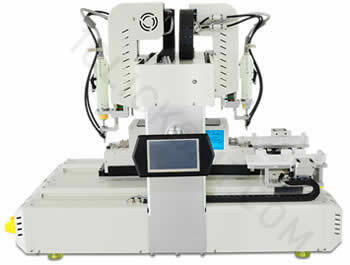 SY-S12 has 2 work station which can alternately run without stop , it greatly improve the efficiency . the 2 work station is also able to install 2 different products on left and right work station. and 2 work station can execute 2 different screw driving program . 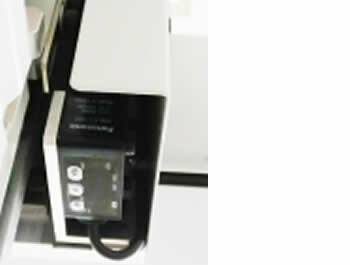 Further more , it support placing products on the front side of machine and taking out on back side of machine. Normally , the conventional screw driving machine only has 1 Z axis which only control the driving height of tip but can not control the nozzle height .the screw fastening process is : nozzle stop at the fixed height 3mm above the product and then Z axis control tip to drive screws at programmed height. so it requires all the screws on the product must be at the same height . If the products need to drive screws on different height , so the conventional machine is not able to do it. 1CS screw driving machine can add another Z axis on the driving head which can control the nozzle height ,so it can solve the problem when products need to fasten screw on different height. If the nozzle does not pick the screws , so the screw would not be missed on the product. If the thread of hole is damaged , then the screws could be tighted at this hole. That is the most common 2 problems in the screw driving process. 1CS screw driving machine is standard equipped with screw locking detecting fuction , it gives alarm when screw is missed and not tightened. There is another defective of screw locking, screw is tightend and torque reachs the set value, but the screw is not been driven to the bottom. 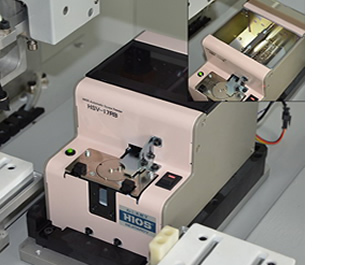 1CS screw driving machine has an optional screw floating detecting fuction, which can detect the height of screw tightened with height detecting sensor to avoid this issue. If one product has 2 different screws with different torque requirement, then the conventional machine can not handle it. 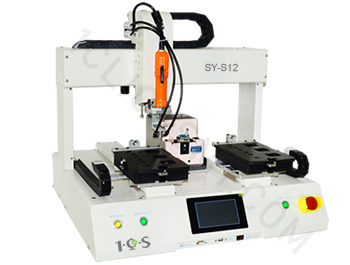 1CS SY-S22T combined 2 screw driving heads and 2 work station in one machine, capable to fasten 2 different screws with 2 kinds of toque requirement, also can be used as 2 machines with single head and single work station large volume production. Intelligent servo control screw driver is available : Precise torque control ±5% current equivalent value. 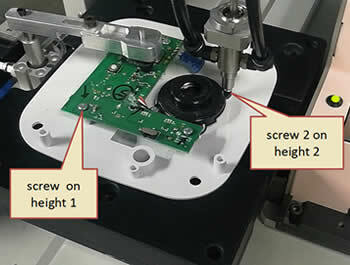 Intelligent screw driver with PC control , capable to trace each screw tightening process in real time. 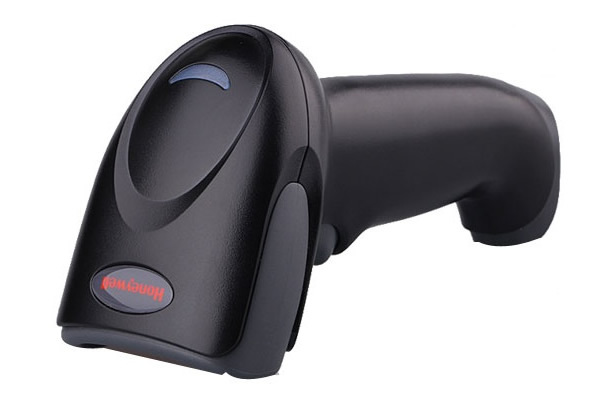 Barcode scanner to read barcode of product before tightening screws.